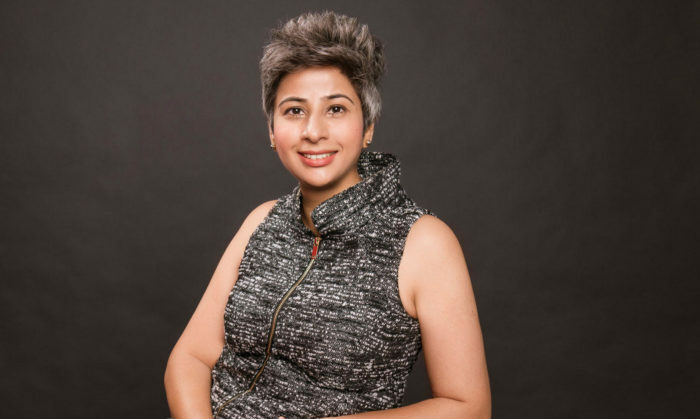 As group chief marketing officer of automotive marketplace Carro, Manisha Seewal (pictured) oversees the marketing function for Carro in Singapore, Indonesia and Thailand. She was previously the head of marketing at Tokio Marine Life Insurance Singapore for over five years, responsible for building the brand identity and all marketing strategies. This includes advertising, communications, media relations and external affairs PR and multimedia content production. Before Tokio Marine Life Insurance Singapore, Seewal was part of the marketing teams at brands such as Zurich Insurance Company, AVIVA, HSBC Insurance and Great Eastern Life. She also boasts agency-side experience, having started her career in Singapore in 2003 at ZenithOptimedia as a research analyst for Nokia (regional) and Asia Pacific Breweries (Singapore). We speak to Seewal about her marketing journey so far and her venture in the start-up space. My first digital role was in 2004 when I was working as a regional media planner at Zenithmedia for the Nokia account. It was exciting as Nokia was breaking out of the traditional phone design into launching fashion phones. It was the first time that a mobile device was being positioned as a fashion accessory. My favourite was the unorthodox Nokia 7280 – the fashion phone that didn’t have a keyboard. To launch this range in Asia, we bought media placements in both print and online versions of selected fashion publications. Leaderboard banner ads was an evolving medium back then. As it was our first foray into digital, it was exciting to know viewer numbers in real time; as typically we relied on print circulation numbers to measure reach. Marketing: What was your biggest tech blunder? I was leading an internal project team in 2017 to launch Singapore’s first public chatbot from a life insurer. The stakes were high as the chatbot would be accessible through Facebook’s messenger platform and marketed through the company’s Facebook page – a space that is highly prone to public criticism. In addition, the AI technology was new and needed time to learn. Before launch, we became so involved in ensuring that the chatbot gave the right answer that we created a database of all possible questions a customer could ask. We were getting paranoid trying to ensure we covered all bases. Once we realised that a customer just wants to start a conversation with the brand and is unlikely to ask technical questions through a chatbot, we were able to simplify and re-work our strategy and ensure that we were the first to launch a chatbot in Singapore. Read also: What’s causing your chatbots to fail? Marketing: How did you overcome it and what did you learn from it? We quickly developed a chat function in the chatbot. This included developing casual content like jokes, weather and even Singlish. To our surprise, it eased the on-boarding process, gave the chatbot a personality and a globally scalable marketing edge. Personally, I learned the importance of taking a step back, detaching yourself from the project and doing a regular sense-check on the basics, such as the user journey. I realised that what we care deeply about internally, may be insignificant to the customer. Professionally, I learnt that it is okay to launch something that is not 100% perfect – as long as the risks have been identified and mitigated on a best-effort basis. If we wait to be 100% ready always, then it is already too late. He agreed, and we successfully launched Singapore’s first chatbot from a life insurer. We were just in time to be #1! Marketing: Common challenges facing digital today? Digital allows us to measure several metrics and optimise in real-time. It’s exciting and with limited budgets, we can toggle quickly between driving traffic, engagement and conversions. We can’t fully achieve that level of sophistication with traditional media. I believe it’s especially critical for brands that have an offline customer journey to be able to link traditional media to digital media spends. Internet of Things is beginning to enable this to some extent, but it’s still limited, expensive and insights are not available on a real-time basis. Marketing: Any digital trends excite/weary? Why? Martech excites me. Marketing technology is an area that will continue to grow globally as it drives revenue and customer acquisition. At Carro, we run a complete in-house digital marketing set-up – web content management, paid search, email marketing and digital analytics – which has proven to be very effective. In 2019, I hope to see real-time testing and integration of creative content, which is then pushed out programmatically to the right audience for maximum impact. I am also on the look-out for an effective martech platform that allows me to have real-time visibility of spending and digital performance across countries. Marketing: A tip for marketers and brands embracing digital? For start-ups with a limited budget, I will encourage them to not be afraid of trying out digital with a limited budget. They can start with simple paid search to get conversions and set up a Facebook page for on-going engagement. Learn and optimise continuously. More established corporations with big budgets should look for redundancy in their current digital set up, e.g. underutilised marketing analytics platforms. They should only keep what adds value to their current business ROIs and cut-off the fat. The savings should be invested in continuous marketing innovation and skills development. Vincent Tsui initiates reverse pitch campaign to recruit "good client"
Following a strong year of growth Fleishman-Hillard has hired Napoleon Biggs as vice president of digital integration in Asia Paci..
Pola, which has around 4,600 stores across Japan, apologised for causing "unpleasant feelings and inconvenience to many people" an..